Kat is mature and sophisticated beyond her years. She recently came to Angel Grove from Australia, only to be captured by Rita and placed under a spell. Kat befriended the Rangers, and got close enough to steal the Falconzord and Kimberly's Power Coin. Her memories of being good broke the spell, and she became an ally, retrieving Kimberly's coin, which quickly became her own once Kimberly decided to leave for Florida and pass the coin to Kat, so that she would become the new Pink Ranger. Kat maintained a partial telepathic link with Rita, a lingering effect of the spell she was once under. 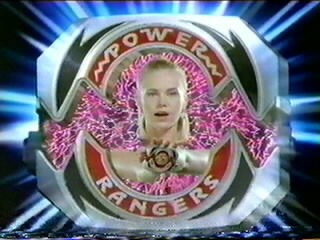 Pink Ranger's power weapon is the Power Bow, which can shoot either normal or energized arrows. Her weapon combined with the others to form the Power Blaster. 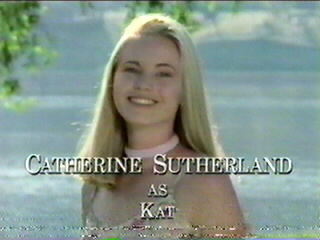 As Pink Ranger, Kat gained enhanced strength, speed, and durablity as well as limited energy projection. Kat lost her powers when Master Vile turned her and the other Rangers into children and destroyed the Power Coins. 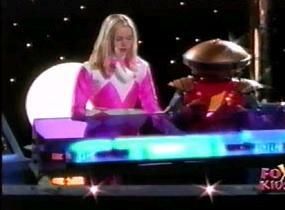 Using the Zeo Crystal, she became the Pink Zeo Ranger, and later on upgraded to Turbo Powers, which she eventually passed on to a successor, Cassie. When Kimberly had to leave the Rangers to train for the Pan Global Games, she left with villain-turned-ally Katherine the power of the Pink Ninja, which she had received from Ninjor on a dangerous journey with her teammates to the Temple of Power. The Pink Ninja Ranger has heightened strength, speed, and durability. She also has the powers of ground swimming, line of sight teleportation, phasing, multiplication, energy projection, hypnotic persuasion, and many other "ninja magic" powers. Presumably, all Ninja Rangers have the same powers, although not each one has demonstrated all of them. Kat obtained her crystal in Australia, where she was tested for goodness of heart.